Original Sin Art: 12 Days Of Making, Day Twelve. 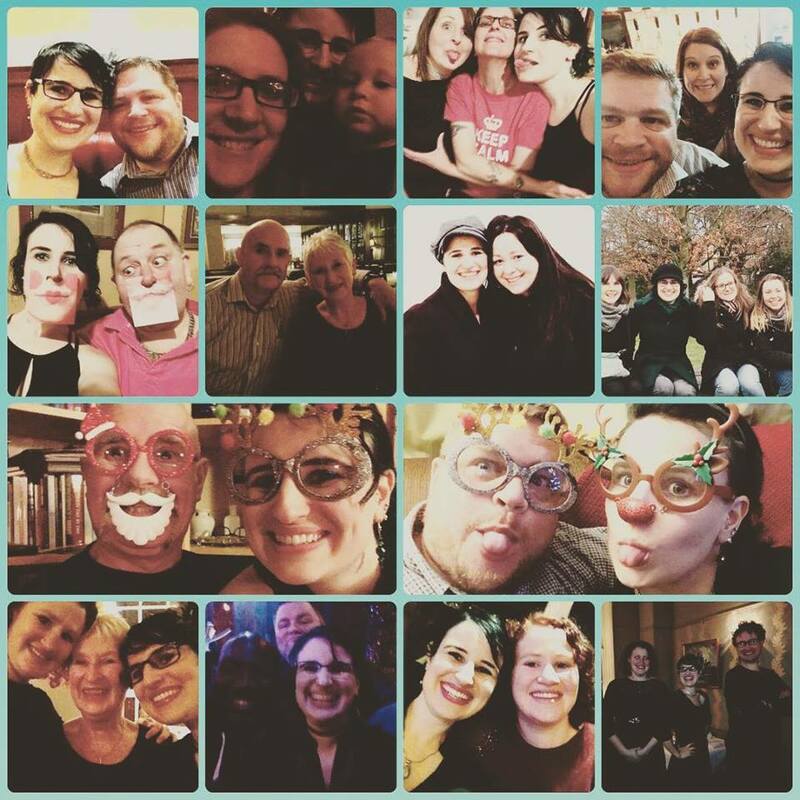 On the last day of our fabulous 12 Days Of Making challenge, the prompt was GRATEFUL, and I have so many things to be grateful for! First of all, a huge thank you to Clare from Boho Jewellery Box for being the wonderful hostess with the mostess, and also thank you to all of the other lovely hosts involved. I have had so much fun getting to know you all better! More big shout outs of course especially to my Brian, and to all my lovely family and friends, both the ones I know in person, as well as all the fabulous people I have only met via social media! I am so lucky to have such a wide network of support and friendship around the world. Sometimes I find it terrifying sharing my stories and my work publicly, and like many artists, I am crippled by self doubt, but you all give me the strength and encouragement I need to keep going every day, and to follow my dreams, THANK YOU! Here is a collage of some of the good times I have shared with family and friends, specifically at Christmas time, to keep in the festive mood.